If you’ve been following along, career tip 1 was to know and develop yourself. Career tip 2 was to get outside your comfort zone. 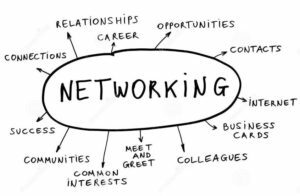 And for a lot of people, career tip 3 will be the same as career tip 2; tip 3 is to network! A small minority of people are naturals at networking. They’re extroverts who think of strangers as friends they haven’t met yet. These naturals are curious about everything and never run out of things to talk about. They are quick on their feet and always seem to know the right thing to say. That’s not me. As I tell people when I teach authentic networking, when I go to an event, I have two goals: to show up and be awkward. If I show up, I hit my goals every time. The other thing I always tell folks is that networking is a skill; it gets easier and better with practice. 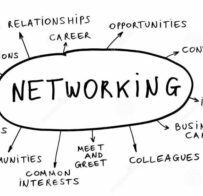 Today I’m a pretty strong networker, because I had a career in fundraising as well as the pressure of starting a business to motivate me. Working a room takes not only practice, but preparation. If you are going to an event, think about what you’d like to learn while you are there, and craft some questions in advance. Be able to tell people what you are doing now and what you are working towards next. Also be ready for when people ask how they can help you. Better yet, be ready to ask how you can help them! But there’s more to networking than just working a room. In fact, the best networking tool there is is one-to-one: information interviews! Here are a couple blogs with a lot more information on how to do those. The first is all about why information interviews are great, and the second is an information interview how-to. 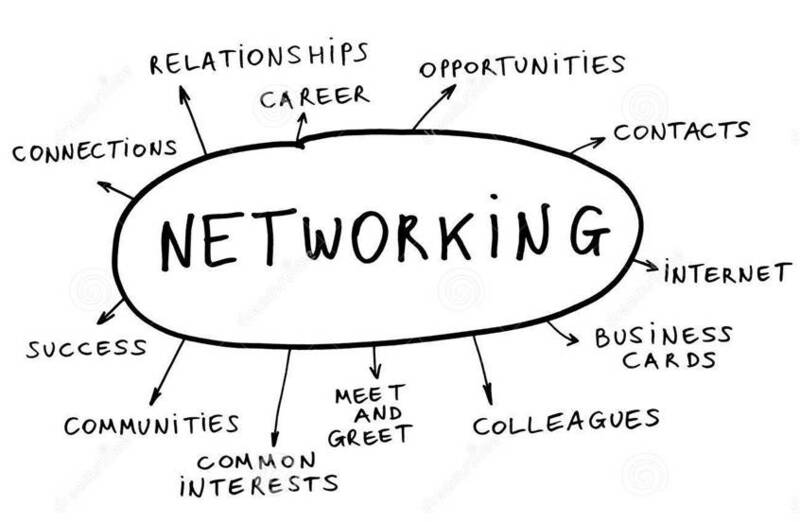 Remember, depending on the study you read, between 40% to 80% of people get jobs through networking. It doesn’t mean that someone will give you a job. It just means your resume will get read – and hopefully you’ll get an interview. Networking is simply a way to be more competitive as you find your right work. Where could you show up with the intent of practicing your networking skills? Who would you like to meet? What do you want to learn more about?